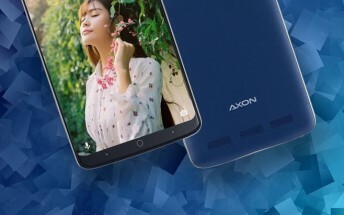 ZTE seems to be making final preparations to launch the Axon 9, but the phone will not be alone – the company trademarked both the “Axon 9” and “Axon 9 Pro” names in a single filing that also includes a roster of midrangers and entry-level phones. The trademark was filed with the Eurasian Economic Union. Rumors suggest the new Axon will rekindle the ZTE-OnePlus rivalry in the affordable flagship range. It’s slated to have Snapdragon 845 chipset, 64/128/256 GB storage and two dual cameras (20MP on the back, 13MP on the front). Its rumored price is between $550 and $630 (the OnePlus 5T launched at $500/$560, the 6 is rumored to be $50 more). 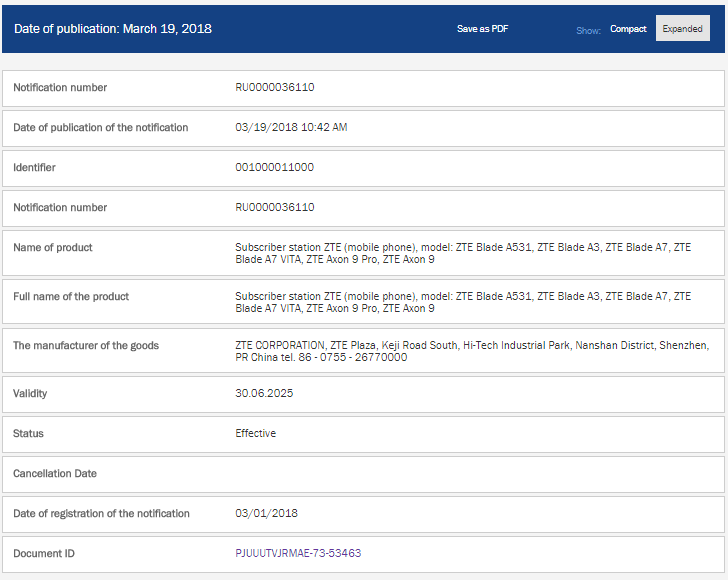 Besides the flagship, ZTE also trademarked a number of Blade devices. They include the ZTE Blade A7 along with a VITA version and the Blade A531. The Blade series has a V7 from early 2016 but no A7 (yet) and there are a couple of 3 and 5 models in need of a sequel. The Blade A3 was also mentioned in the filing, though it’s already official and has been available since November (the trademark was filed at the beginning of March this year). This suggests a market expansion for the A3, but it may not mean much for the launch dates of the other phones on the list.